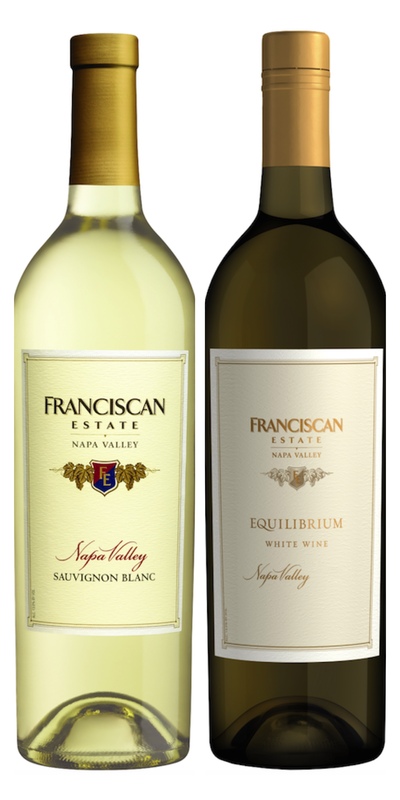 When I received a package from Franciscan Estate Winery with the bottles of Franciscan Estate Sauvignon Blanc and Equilibrium White Blend, it was a lovely surprise. With summer in full swing, both the Sauvignon Blanc and Equilibrium White were perfect to share with my husband and our visiting guests. 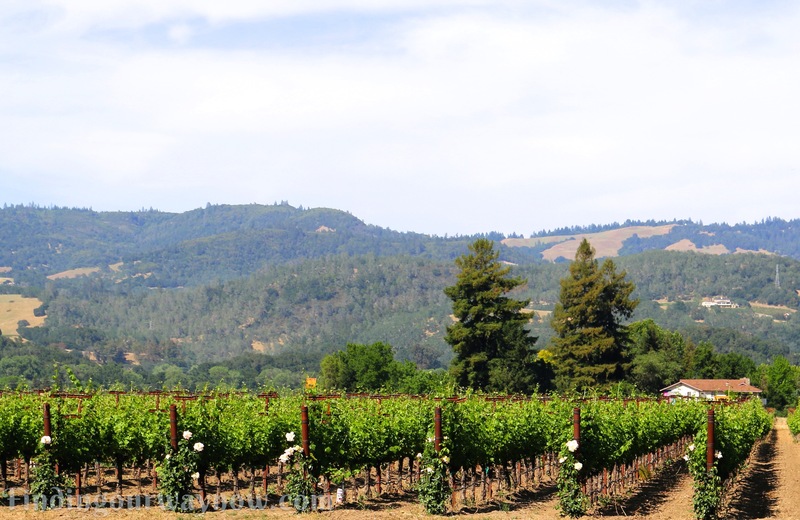 It was even more fun going to visit where these wines are crafted. 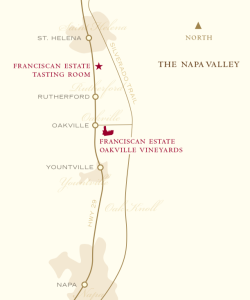 Franciscan Estate Winery is on Highway 29 in Oakville, California just below St Helena in the heart of the Napa Valley Wine Region. It’s a lovely drive, to an equally beautiful tasting room. When you arrive at their visitor center and tasting room, you’re greeted with a huge enchanting fountain. Don’t forget to check out their grounds and patio. It’s a perfect way to set the stage for an great wine tasting experience. 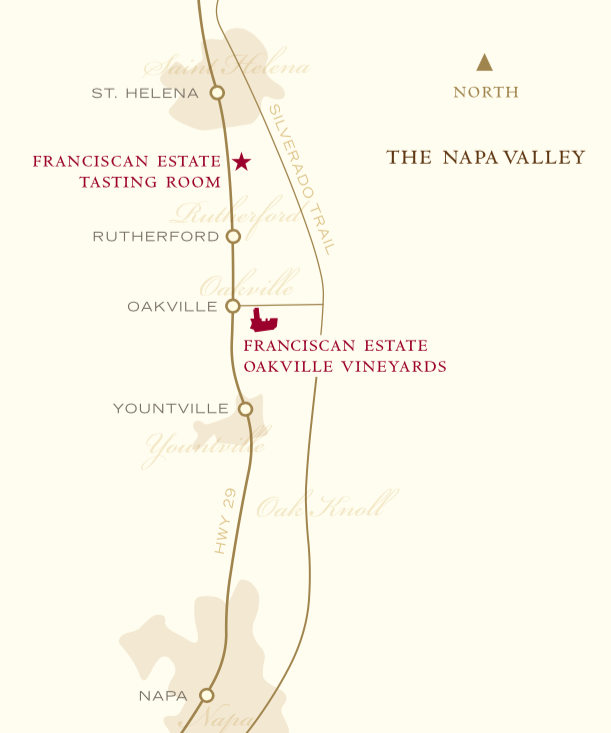 Established in 1973, Franciscan Estate Winery has focused on producing small lots of wine that allow the distinct characteristics of the wine to shine through every bottle. Along with going green, they’ve worked hard to produce the highest quality grapes needed to craft wines worthy of their label. 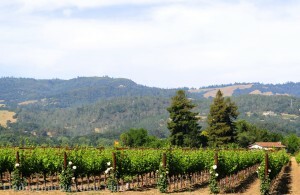 At their charming, warm and inviting tasting room, they provide guided tours and seminars on a daily basis. All are well worth the time. If you’re looking to do something a bit special, the winery offers the opportunity to schedule private wine tastings with hands-on experience to enhance your knowledge of wine. I highly recommend a visit to this location if you’re in the area. “Brimming with lime and grapefruit, softened by notes of pear and vanilla. Lemongrass, lychee, and a minerality reminiscent of river stones add layers of fragrance. Bright, clean, and inviting. “Pale Straw in appearance. A vibrant bouquet with highlights of lime, honeysuckle, and white peach. Mineral notes lead way to jasmine and passion fruit. 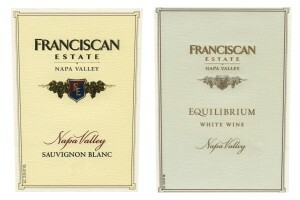 You can find Franciscan Estate Wines on their website (use their handy retail locator to find it in your area), totalwine.com, bevmo.com, and wine.com. Both these bottles of wine were a delight to the taste and enhanced the afternoon we spent sharing them with our guests. Although these two wines were perfect by themselves, I can see this accompanying a light white fish or shellfish en Papillote (cooked in parchment), or a variety of salads and green vegetables. All things that are in the works for a future post on my food page. You can bet these wines will be on the table with any or all of these dishes. 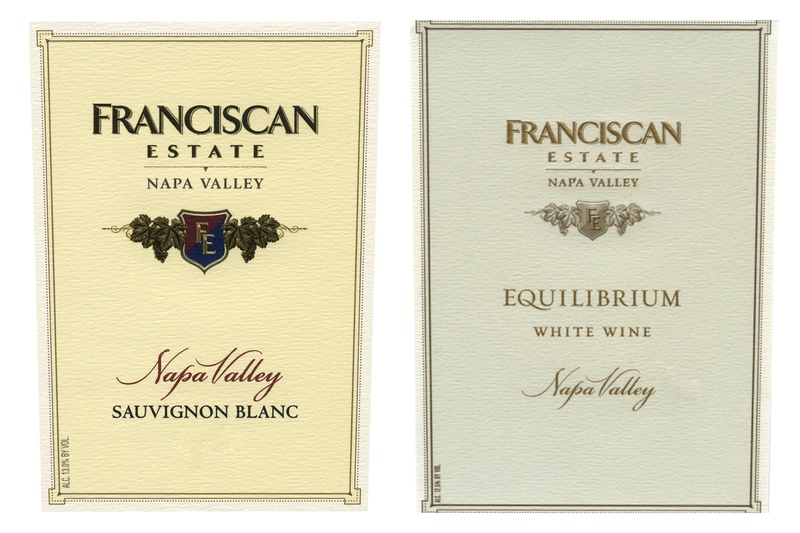 If you enjoyed reading about “Franciscan Estate Winery,” check out Van Ruiten Sauvignon Blanc, Matua Sauvignon Blanc, and Joel Gott California Sauvignon Blanc.